• Networking with industry professionals: This benefit should be reason enough to put your business on LinkedIn. No other social networking platform connects you better to your peers than LinkedIn. LinkedIn even suggests contacts for you to connect with in your industry. Businesses in your industry all face the same problems, but networking on LinkedIn will offer you different ideas on how to solve them. Your business has much to gain from networking. • The opportunity to establish credibility within your industry: Another great aspect about LinkedIn is that with the forum and exchange of ideas and problems, you have the opportunity to build ethos by solving industry issues. Helping professionals with their problems will go a long way for your business. Add as much as you can to the conversation and people will view your business in an authoritative light. • Stay updated on your industry: Join a group of professionals and add some new contacts to your network. Doing this will ensure you stay updated on your industry - learning new and improved ways to run your business along the way. Make sure your profile is public so people can get to learn a little more about your business as well. • Researching your business' industry: LinkedIn is an absolute gem for industry research and it is in your business' best interest to use this to your advantage. Find new hires, discover new trends or find the most influential people in your industry. Good LinkedIn research allows you to learn about your current and future competitors. A step on the path to being the best is learning from the best. Use LinkedIn to find the best and learn from them. • Promote your site's content: Like Facebook and Twitter, LinkedIn also has a news feed that streams to everyone in your network. Use this opportunity to drive traffic to your site's blog. Keep everyone in your industry updated on what you're working on and they may help you in the future. • Increased awareness: The goal of any business on the internet should be to increase your business' awareness. You are already on Facebook and Twitter. 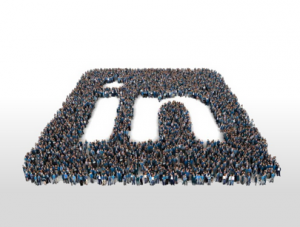 Why not tap into the 100 million+ users on LinkedIn? Use LinkedIn to grow your business by letting people know your business exists. LinkedIn can also be a powerful marketing tool for businesses. Take advantage of the platform using these strategies and you will give yourself the best opportunity to succeed. (Garcia, Yfran. Hudson Horizons, Integrated Web Agency. November 17, 2011. Web. March 18, 2014. TNT's Guerrilla Marketing Stunt = Awesome! generated 4.5 million views in its first 24 hours. This advertising approach was set to be one of the most viral ads of the year. TNT set up an area on an open corner somewhere in Belgian, with a plank that had a button on top with a sign above it that reads, “Push for Drama”. Once the button is pushed a theatrical display is performed, with lots of drama acted out by various actors. After the performance a banner unveils from the building that says “Your daily dose of drama TNT”. Guerrilla advertising is an entirely different marketing approach. It’s interactive, unique, engaging and most of all an attention grabber. This advertising strategy is a thought-provoking concept that conveys and promotes a product or an idea. There are different types of Guerrilla such as, graffiti, flash mobs, giant elevator ads that move up and down with the elevator, pretty much anything that are creative non-traditional ways of advertising the products. There are many advantages in this marketing strategy; the main advantage is that it is unexpected and catches us off guard, which causes an emotional response whether it’s laughter, sadness or even shock. This type of earned media gets people talking, when people see the advertisement they will not only remember it but will spread the word generating awareness. What better opportunity to meet a potential candidate face to face and to get a first impression, than at a career fair! True, first impressions are like movie auditions (an act to make yourself look better than you are to land that gig), but these are still a great way to meet great candidates and possible NEW hirees. That all being said; these events can become extremely tiring, and even inevitably hectic if you do not have the proper preparation at the helm. Lack of screening, tons of resumes, and the chaos of the day can take athe grandest of productive ideas and make it a complete cluster-bomb. If you want to take advantage of career fairs without acquiring a giant headache, here are some tips from Dr. Erica L. Fener, to keep your search focused and successful. Make sure all YOUR paperwork is prepared in advance. Job seekers will be trying to get all of their documentation in order, and it is equally important that all of your ducks are in a row as well. Make sure the job fair organizers have created an accurate description of your company or group and that your booth’s location has been correctly listed. 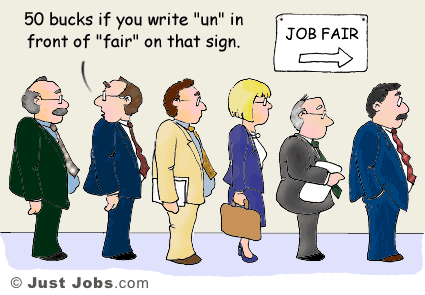 If possible, post the kinds of jobs you are seeking to fill in the career fair’s online forum before the event begins. Make sure your staffers know what’s up. The people representing your company help ensure that specialists in your field, not people without the qualifications you are looking for, fill out your application. Make sure that whoever is staffing your booth knows exactly what you are looking for and can speak at length about your organization, the positions you are looking to fill, and what the hiring protocol is. Make your hiring protocol crystal clear. Because the number of people attending job fairs can be quite large, it can be tempting to blur lines and allow for exceptions to your normal hiring procedures to accommodate the sheer volume of potential applicants. Employers, however, should adhere to their standard hiring practices at a career fair for everything, from the type of applicant you are looking for to how positions are pitched to prospective employees, from what application procedures and resumes will be accepted at the fair to when people can expect to hear back from you. Having a solid outline of how the day will go keeps you from missing a great opportunity or taking on dead weight. Take a look at the college angle. If the career fair is happening at an academic institution, use that venue to your advantage. Prepare a list of appropriate majors and minors and other academic requirements for the positions you want to fill. Is your company willing to offer internships as well as regular jobs, and are some of the applicants too young? Have a stack of business cards on hand so that you can network today for future assets and employees. In addition, be sure that any of your current employees who are alumni of that particular school are present (if possible) to discuss the transition from college life at that institution into the outside workforce. Make your booth look awesome. Exciting graphics and pictures of what your company is doing and fun, company-based giveaways, and demonstrations keep people’s attention and attract stronger applicants who may not otherwise have considered your group. Of course, make sure career fair etiquette is in effect — be presentable, on time, and ready to talk. Personalize the experience. Obviously, not everyone who comes to your booth will be hired the same day as the career fair, or any time for that matter. 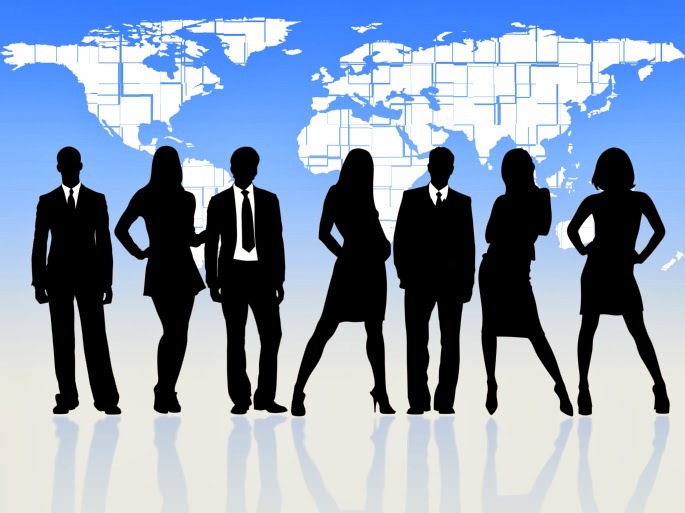 However, you still should recognize the individual merit of each potential applicant. Spend some face time with each visitor, even if you believe the person is someone you would never hire. Potential applicants who get a good vibe from your company may surprise you on paper, or may become clients and customers in the future. Remember courtesy counts. 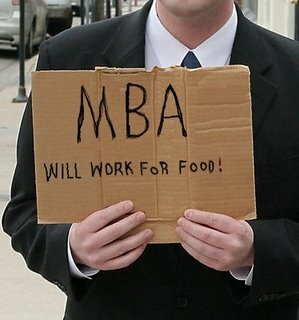 Some career fair participants are not as polite as they should be. Stand, rather than sit, at your booth. Shake hands with applicants even if you are afraid of germs and illness (hand sanitizer is usually omnipresent at career fairs). Although office concerns may weigh on your mind, put the phone away. You wouldn’t hire someone who was texting the entire time you were speaking; that’s a two-way street. While there may be pressure to eat quickly at career fairs, make sure that you eat at the appropriate time and in the appropriate place. Unless absolutely necessary, do not leave your booth unmanned. And while colloquialisms may make you seem more relatable to younger applicants, keep conversation polite and vulgarity to an absolute minimum. Avoid the temptation of the hard sell. You may be very excited about your company, the career fair, and potential employees and job seekers. However, there is such a thing as overkill. Be informative without being domineering. Ask questions when in doubt (e.g., “What are your interests academically?” or “Have you ever considered going into this field?”). Being friendly is great. Being scary is not. For anyone that has graduated from a university/college, you have first-hand knowledge that it is not an easy task to locate and land a job. Even if you do indeed land one, there's no guarantee that you will be employed for very long. According to the New York Post; this new-grad-group does not have a good image, as they are being called “The Worst Generation,” citing research that shows these new group members as being very narcissistic and with a high sense of entitlement. Many of these newbies come straight out of college, expecting to be in prime position to be atop of the ladder in whichever field they are in. High-dollar salaries, nice lifestyle, and paid time off...a lot of paid time off. Sadly, it's not completely their fault, as I can attest; many professors, counselors and whathaveyou, will instill in students that they will be asssited in locating/landing a position of high-caliber once they graduate and are also telling the students of how much of an excess of money that CAN be made. 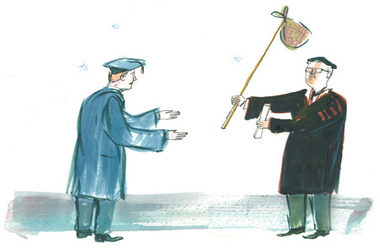 What they fail to fully translate to a language that graduation-ready, money-starved students can understand; is that the potential to do so is out there...NOT as soon as you throw that cap in the air and hang up the gown. "This group was raised to expect, receive, and question everything. This sense of privilege has caused many in this group to lack patience in developing professionally; an unconcern with “paying their dues”; and a different perception of how “work” should work. Research also shows that they often feel entitled to a level of respect and rewards that aren’t in line with their actual ability and effort levels, and so they might not get the level of respect and rewards they are expecting. They feel cheated and might try to obtain rewards they feel they are entitled to through unethical means. For example, they are more likely to manipulate performance data to achieve higher bonuses." quoted from Raghav Singh. He continues with, Census data shows that the likelihood of 20-somethings moving to another state has dropped well over 40 percent since 1980. While there is plenty of demand for workers in skilled trades, many prefer to stay unemployed and few are willing to do this kind of work even though those jobs can pay far more than working in retail or as a waiter or waitress. 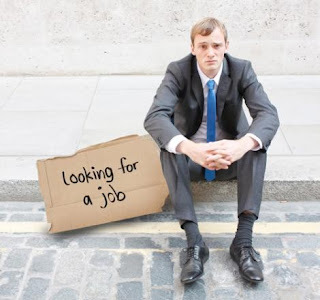 Having been told by their parents and even icons like the late Steve Jobs to “follow their passion” or “do what you love,” many do just that when it comes to picking a college major, leading to a situation where far too many have degrees that are not particularly valued by employers. Despite the fact of the highlighted turbulence that befalls the new grads of this generation; they still do have the mindset to make it in the workforce, and the skillset that many employers are looking for and can work with. 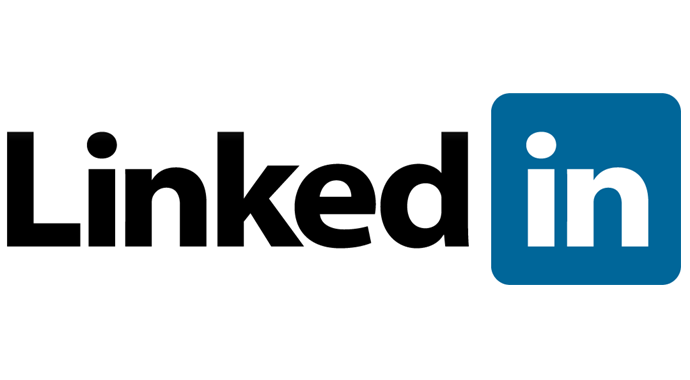 Using LinkedIn to Recruit Passive Candidates? Yep! It’s a fact that companies are still filling 80% of their jobs with active candidates – candidates who are actively seeking other employment. Yet, most of the A-playing talent is found within the passive pool, a much smaller pool. How in the world will you be able to hire quality passive candidates if they are not applying for jobs? The most valuable and effective tool for finding and communicating with passive candidates is LinkedIn! After reading this tidbit of interesting information; how many of you have been in or have known someone in that very same position? They are brought onto a job into a position that is more or less meant to be a mere stepping stone for what they truly want? Honestly; how many of us can say that we have never been at that same position? LinkedIn is one sure-fire way to locate those prime-candidates that are not actively seeking other employment. It's as if you are walking around outside the local restaurant, not paying attention, and "OH!" there is a $20 bill that is off to the side, stuck in a bush. Now, you weren't looking for a $20 bill, and oh what an odd occurence that you have found one minus the effort. LinkedIn is your bush to find your $20 bill...uh...candidate. The quoted first paragraph is from Strategic Advisor, Jennifer Millman. These days, it’s not at all foreign for new technology to produce unsavory outcomes. As a matter of fact, new technology is opening the door to weak communication skills. It's almost as if we have completely forgotten how to communicate with one another as...PEOPLE. Few stop to consider that all these impersonal communications may be endangering our work! Social media, blogging, mobile, and Internet technology (in general) are hobbling opportunities that once were most fulfilled face-to-face or ear-to-ear. When we venture out to meet someone many of us are filled with a mixture of anticipation and apprehension and for what reason? Apprehension because part of the experience of meeting a particular person lies in the unknown and anticipation because underneath all of our human natured-ness (do you like that created word?) lies a social beast. It’s the apprehension that’s winning out in this techno race of assumptions. Reasoning behind that is because for many of us it serves as a security blanket— that veil — between others and ourselves. The fear of rejection and failure is (greatly) diminished with technology. Face it, if you get electronically-rejected, it may not be the greatest feeling in the world, but it is far better than being casted-off face-to-face. So how do you make an impression?! Return a candidate’s calls. You’ll likely be the first (and only) one to do so! Call a potential candidate and surprise them. You’re more than likely to be the first (and only) recruiter to have ever done that in their experience. How's this for a blast from the past; walk in to a company’s main lobby and ask to speak with the head of staffing. I’ll guarantee you’ll be the only one who’s done that in the last 10 years! Granted that won't always work in every situation because (duh-duhhhh), technology has halted such things. You need to set up meetings and interviews via email these days (thanks tech-Gods). STOP sharing everything openly online — enough with that stupid word “transparency.” We’re not doing anyone any good with all our goody-two-shoes FREE banter. We’re oversaturating the market with information and misinformation. We’re part of the problem — leading others to believe getting a job is a matter of comparing this one and that one to that one and this one online. Recruiters (and some sourcers) are routinely texting and emailing information that is sensitive and precious — made much less so in the public’s eye (and experience) by its cheap distribution. We give candidates (and potential candidates) the idea they have all the information they need to make one of the most important decisions in their lives. They don’t and they can’t. They most assuredly can’t without your help. Consider your appearance. Some “casual” has become far too casual in the last few years. Lose the flip-flops and pajama pants. Dress seasonally and respectfully for whomever you’ll be meeting with. Schedule in-the-flesh meetings. when you can meet face-to-face. 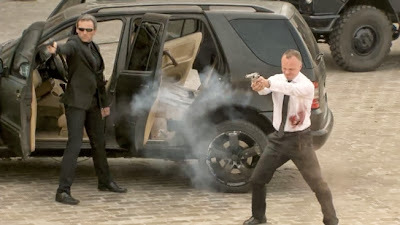 When you can’t use a service like GoToMeeting. It’s an electronic solution, sure but you have the opportunity to “see” and be “seen.” It’s an opportunity to sell yourself and your abilities. Forget meeting at the local Starbucks. Too noisy, too little privacy, too many distractions, too impersonal. Schedule your time (and theirs). Set your expectations for the time you’d like to spend with them before you meet. People are less reluctant to meet when they understand the time commitment. Share your market knowledge in person at first. They’ll pay more attention to your emails and texts later. Insist on commitment. Explain you’re running a business — not a charity. They’ll respect you more. Qualify the candidate. Don’t be afraid to ask if they have a non-compete. Explore their feelings about relocating. Talk about salary. Get the scary stuff over fast and first. They’ll welcome your interest and this will help create commitment, loyalty, and trust in you in your candidates. Phone calls and follow-up. Set yourself apart from the madding crowd with this one. Almost nobody else is doing it! Once your relationship is established, call them regularly (once a week is good.) It only takes a few minutes — less than five, usually. Do Not Be Afraid of Rejection and Failure.